Textured to resist scratching and smooth on the inside for easy cleaning. These glasses are made of impact-resistant plastic and are able to be stacked.Â The rim provides a sanitary drinking surface. 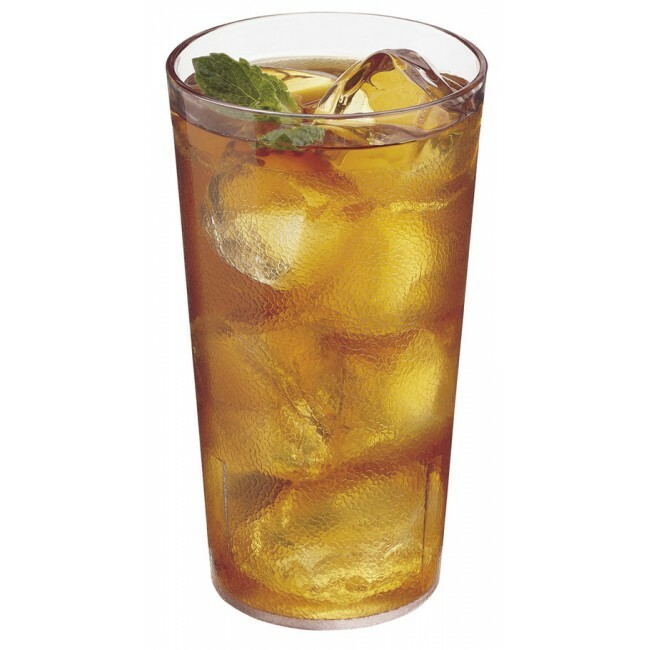 Use them for casual dining to serve water, soda, ice tea and specialty beverages. Comes in clear, amber, or ruby red. Sold by the dozen.